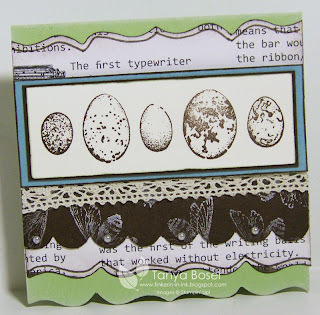 Tinkerin In Ink with Tanya: You Crack Me Up! Wow, time just keeps slipping away from me so fast! I meant to try to post everyday this month. Not doing so well. Sorry! This was my first try. It just didn't have the impact I was going for. I really wanted the eggs to be more colorful and to stand out more. Aren't those bees just vibrate as all get out on the Early Espresso cardstock?! LOVE THAT! And it is just Whisper White Craft ink, no embossing. This was my second try. My hubby said that the sentiment did not match the card and it still wasn't feeling right to me. And this is the one that made the final cut. Although it may just have been that I was running out of time to get them doe, lol! This is my prototype and I did end up inking all the edges with Early Espresso on the ones I sent. And that adorable edge? Oh, that was done by laying the bottom edge of the folded card on the Fancy Favor die and running it through the Big Shot. Then I repeated the effect on some First Edition DSP. 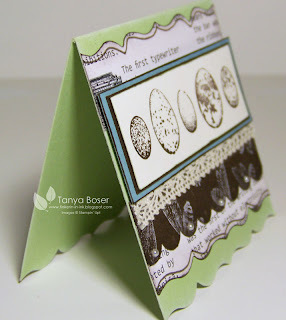 I love how you used the Fancy Favor die on the edge of that card! What a great idea! And yes "You crack me up" is just perfect! Lol! Hey girl!! Nice to see you posting! I've missed seeing your creations! Great card!! The title is perfect! Gorgeous cards!!! Love to see and read about your creative process. Very cool edge with the Fancy Favor die. Thanks for the tip! Cute! I love the tip for creating the decorative edge. TFS! I love the edge on these cards! Thanks for the tip on how to recreate! Love the card! How cool that you put that many layers on a 3x3! 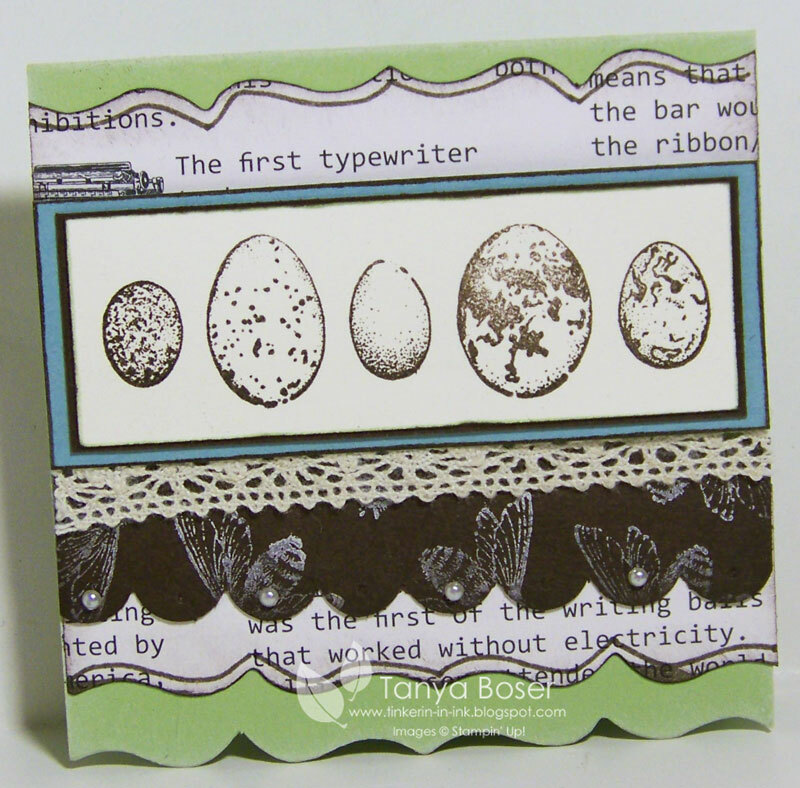 These colors are perfect for a spring card. I like them all, they each have a special something. 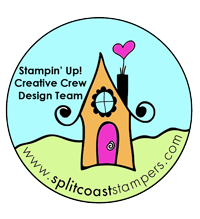 However, the scalloped edge on the final cut is very cool!